The fastest growing monthly publication! Your opportunity to reach thousands of potential clients… every month. Our publication is growing by leaps and bounds, bringing a wealth of information and fabulous products into the Chicagoland area. Our rates are affordable, and coupled with our expos, seminars, website and e-mail campaigns your exposure is limitless. Click here for more information on Digital Advertising opportunities! If you are looking to market to families, kids, and parents, you came to the right place! Family IS our priority! Parents are who we want to inspire. Striving every day to encourage families to be the best they can be. We have added glossy to our covers, we launched Special Needs Guide twice a year, we have a Baby Guide, and Fun Guide published every year. We put on the best and longest standing Kids Expo in the state. We host the longest and best Baby Expo in the market. We host a Special Needs and Autism Seminar to help families with their needs. We know how to market our business and yours. We know how to help grow your business. Advertise with us online, print, or face-to-face, and we promise success. 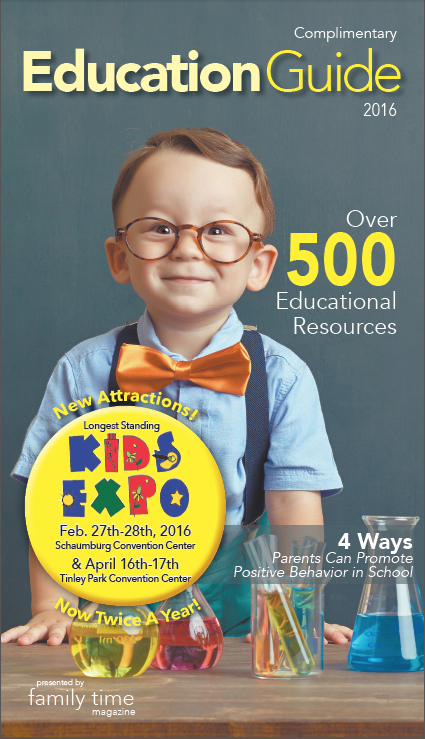 Get a booth at the next Kids Expo, Baby Expo or Autism Seminar and all our family of publications and watch your business grow! Send me any suggestions you may have!